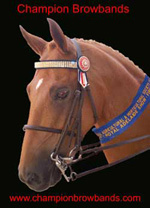 Show Pony Colour is bleach-free and is designed to be low-irritant. As with all hair dyes, Show Pony Colour contains ingredients which can cause skin irritation or serious allergic or adverse reactions in certain horses. It is your responsibility to identify and assess the risk of such reactions in each particular case. Allergic or adverse reactions are usually identified by a skin patch test, but this may not identify all possible reactions in all horses. Veterinary advice should be sought in this regard prior to any application of the sample or product. The application and use of the skin patch test and the product is undertaken solely at your own risk. Prior to applying Show Pony Colour, it is critical that a skin patch test be undertaken by using the sample bottle provided with the product. To test the product, tip a small amount of the powder from the sample bottle into a container and add enough water to make a paste. Apply to a sensitive area (i.e. under the hip joint) and leave for a minimum of 48 hours and longer if possible. If any irritation occurs, DO NOT USE THIS PRODUCT. Unopened kits can be returned for refund within 7 days of purchase. Opened kits are not refundable. Skin tests should still be undertaken for repeat applications of the product. Wear protective clothing as staining will occur. You must wear gloves when applying the sample and the product and avoid contact with your skin. Wash hands thoroughly after use. If in eyes, wash out immediately with water. Some horses can suffer severe or life-threatening allergic or adverse reactions to certain hair dye ingredients. A sample of the product is supplied to enable you to perform a skin patch test. The skin patch test may not identify all possible adverse reactions in all horses. You must exercise your own skill and judgment in the application of the sample and product (including the obtaining of appropriate veterinary advice) and your application of the sample and product is undertaken at your own risk and constitutes your own voluntary act. By opening the packaging and using this product, you are accepting the risk of any adverse reactions and the risk that a skin patch test may not reveal all possible adverse or dangerous reactions to the product. For advice, contact a Poisons Information Centre (phone Australia 131126; New Zealand 0800 764 766). "Wayne and Chris Price approached me to colour my 29 year old horse to use on the instructional DVD on their Show pony Colour website! I was truly amazed at the results! Firstly there was no irritation at all to my horse and his coat was left in amazing condition with a superb shine! I will definitely be using Show pony Colour from now on!"